Ugly Christmas Sweater Giveaway Winner! 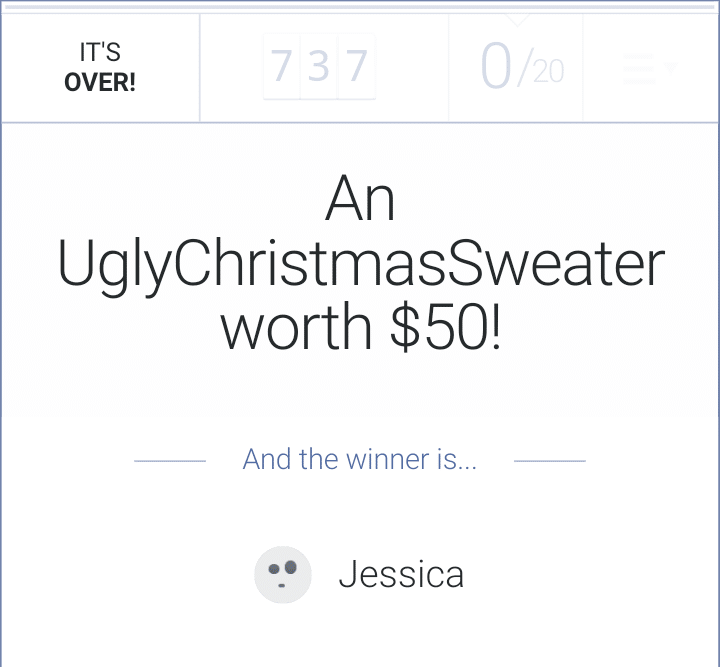 The winner of the Ugly Christmas Sweater giveaway is Jessica Miller of Ohio! Finally here it is, the winner announcement! There were a total of 13 entries. 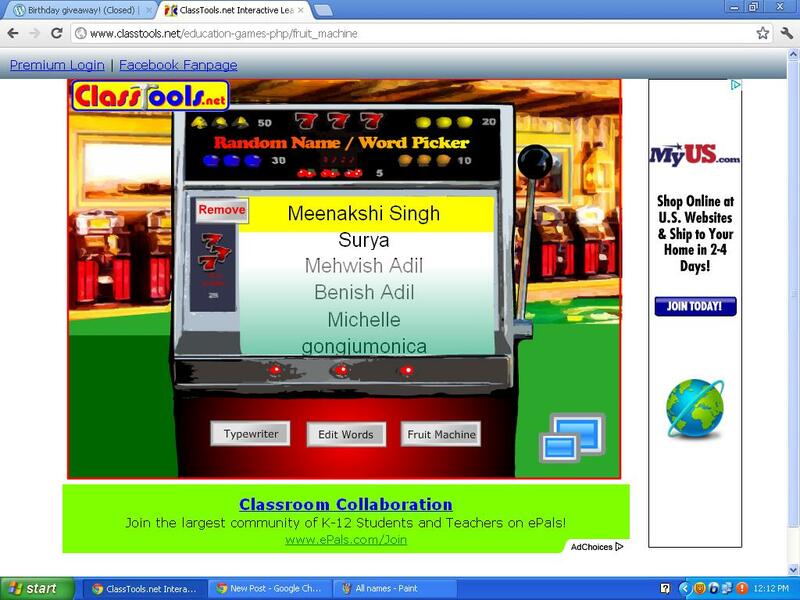 All names were fed into the Fruit Machine, my favorite random name picker. 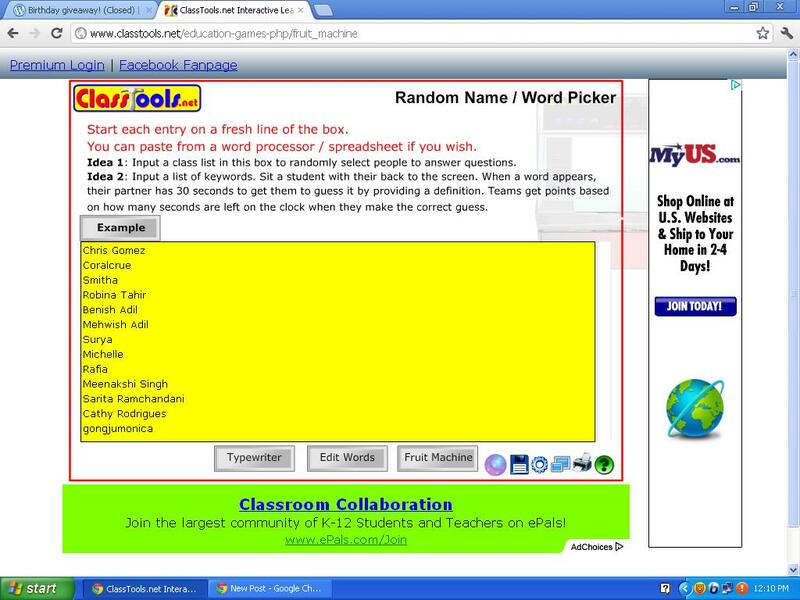 Winner should contact me by emailing me at nazninazeez@gmail.com. Please do email me within a week. Thank you to everyone who entered this giveaway. I will definitely do more giveaways in the near future. So please do not get disheartened. Please congratulate the winner because I love everyone being positive always!.